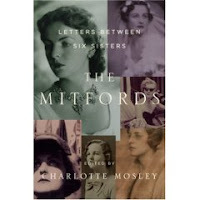 The mitfords sound very interesting! Thanks for the tip! I hope you enjoy them, Terri! Lots of interesting history -- some of it not so good (one of the sisters knew Hitler up close and personal), but all of it fascinating. Also check out "Decca: The Letters of Jessica Mitford". Very nice indeed.